In this guide I’m going to show you how you can use an Amazon Fire Stick in Australia using an app called a VPN. A VPN is basically an app that allows you to disguise your location and appear elsewhere. 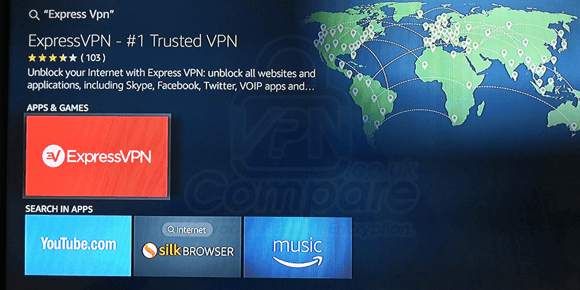 My recommended provider of VPN services is ExpressVPN because they work well with the Amazon Fire Stick but there are plenty of others which I’ll cover further down in this guide. For this guide you’ll need an Amazon Fire Stick from another country, not the Amazon Fire Stick Basic that’s sold in Australia. So if for example you’ve got a UK Fire Stick, Japanese Fire Stick, American Fire Stick or a Fire Stick or Fire TV from another country then this is the guide for you. In this guide I’ll be referring to the device as an Amazon Fire Stick but that covers both the bigger Amazon Fire TV and the regular Fire Stick too. So read on to find out how to use your Amazon Fire Stick (or Fire TV!) in Australia. As you’ve already learnt you’ll need a VPN service to use your Amazon Fire Stick in Australia. There are hundreds of VPN providers but only a few support the Amazon Fire Stick. I recommend using ExpressVPN, I’ve been using them for months with my Fire Stick without issue. They’ve got a 30-day money back guarantee to give you time to test it and if you sign up for their yearly account you’ll save 49% off the regular price AND get 3-months entirely free. It’s worth noting that IPVanish doesn’t work with the UK’s BBC iPlayer so if that’s a deal breaker I recommend you stick with ExpressVPN for widest coverage. Once you’ve selected one of the VPN providers above follow the steps below. Below I’ve put together the full steps you need to take to put the VPN service on your Fire Stick and access all your home TV services. In the example below I’m using my recommended VPN provider ExpressVPN but the process is similar with the other providers too. On your Amazon Fire Stick use the search function and type ‘ExpressVPN‘. Click on the ExpressVPN app to install and download it. Then press the ‘Home‘ button on your Amazon remote control and then select the newly installed ExpressVPN app. 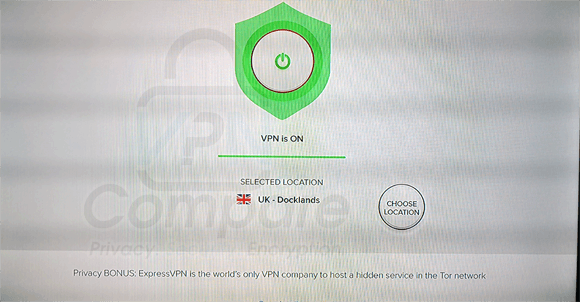 On the ExpressVPN app move down to ‘Choose Location‘ then click on ‘United Kingdom‘ (or your home country). Press the ‘Connect‘ button if the app doesn’t automatically connect. When the app has connected press the ‘Home‘ button. Now that the ExpressVPN app has connected you’re free to use any of the apps from your home country in Australia on your Fire Stick. For example if you’re from the UK then you can use apps like BBC iPlayer, ITV Hub, TV Player, Netflix and more. Instead of being blocked from using them you’ll be able to stream without any issues. If you’re from another country like the United States then simply connect to the United States on the ExpressVPN app then you can access the likes of Hulu, ESPN, NBC, Showtime and HBO Now etc. The process is the same for other countries too. You can use the above method with a Fire Stick from any country they’re available in. 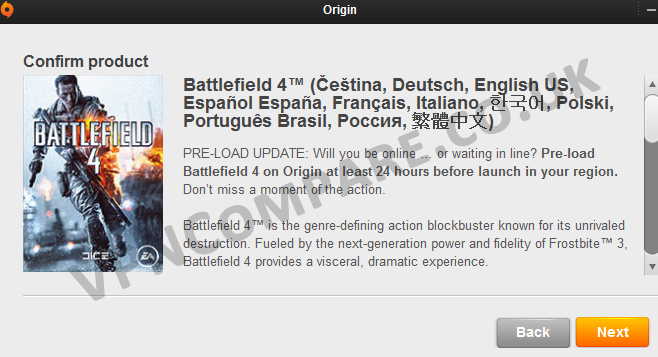 So of course this means Yes, this works with American, British, German, Austrian, Japanese and Indian Fire Sticks. All you need to do is either take a Fire Stick or Fire TV with you from your home country (or purchase one from there) to Australia. You can then use a VPN service from a provider like ExpressVPN to unblock all your local streaming apps. This means on the UK Fire Stick you can watch BBC iPlayer and more. The American Fire Stick you can watch HBO Now and more. The Indian Fire Stick you can watch Hotstar and more. The German Fire Stick you can watch ZDF and more. The Japanese Fire Stick you can watch Abema TV and more. It’s worth noting that while you can access different regions of Netflix using the above method, it won’t let you access different regions of Amazon Prime. For example if you have a UK Fire Stick you can connect to America in Australia which will let you watch American Netflix on your UK Fire Stick. You can not do the same for Amazon Prime. If you’ve got a first generation Fire Stick then VPN services do not work with them. It’s the one that doesn’t have Alexa Voice remote on the remote control. So if you don’t have a tiny hole and the microphone at the top of your Amazon Fire Stick remote control then you have a generation 1 fire stick and no method will work. All Fire TV devices work fine and generation 2 Fire Sticks. 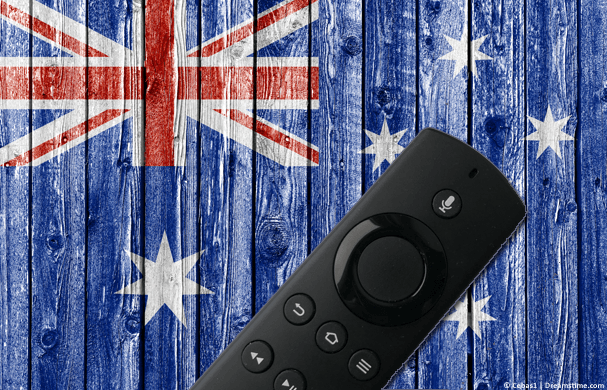 To use your Amazon Fire Stick in Australia and access all your home country’s streaming service as if you were back in your home country you’ll need a VPN service. I recommend using ExpressVPN, they’re one of the best for use with the Fire Stick and Fire TV and they have a dedicated app which makes set-up quick and painless. They’ve also got a huge 30-day money back guarantee to give you plenty of time to test it. Plus if you sign up for their year package then not only do you get 3-months completely free as an added bonus but you also save 49% off the price if you paid monthly. Click the orange button below to grab ExpressVPN, download their app on to your Fire Stick (or Fire TV!) and then connect to the UK or your home country. You can now access all your home apps and watch TV content from outside Australia. What have you been wanting to access and watch on your Fire Stick down under? I would love to know so why not let me know in the comments section below? Is it a simple matter of not just plugging the firestick into the tv , then using your VPN or should it be turn VPN on first ! then plug in firestick to tv & take it from there? do I need to plug the firestick into my computer first & download the VPN onto it , I’m slightly confused as to what should be an easy fix! Plug the Firestick in. Download the VPN on the Firestick itself then use it. In future you just turn to the Firestick on, connect on the VPN and then use your Firestick like normal.